New. Works in this volume recount the circumstances of Socrates' trial and execution in 399 BC. 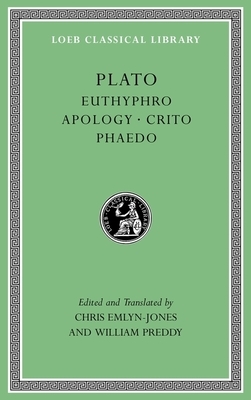 Euthyphro attempts to define holiness; Apology is Socrates' defense speech; in Crito he discusses justice and defends his refusal to be rescued from prison; Phaedo offers arguments for the immortality of the soul. Series: Loeb Classical Library. Num Pages: 574 pages. BIC Classification: HPCA. Category: (U) Tertiary Education (US: College). Dimension: 16 x 10...2017. Bilingual. Hardcover.....We ship daily from our Bookshop. New. Sewn binding. Cloth over boards. 574 p. Loeb Classical Library, 36.